I often find myself wishing that my American friends could actually get a taste of the wonderful quirkiness of Filipino pop culture. Typhoon Yolanda has given us one sweet bit of buzz that I’ve got to share. 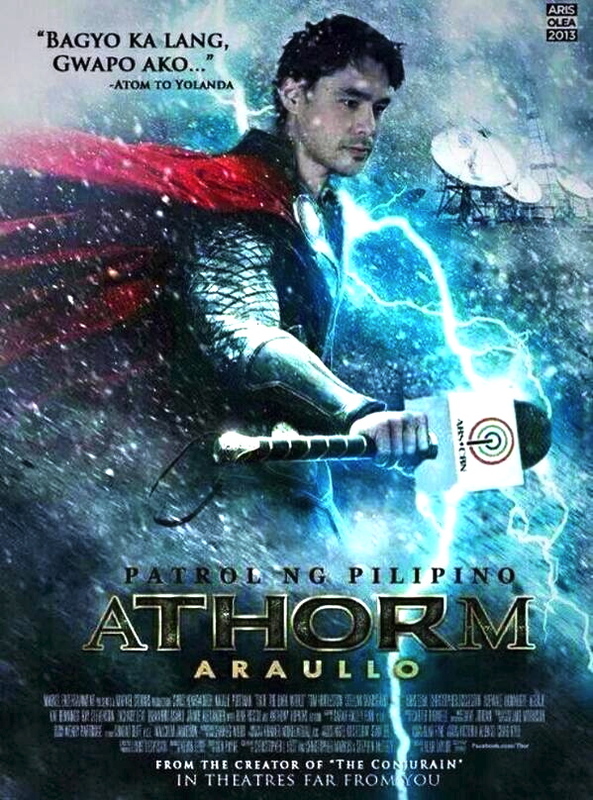 It’s a situation that is developing around Atom Araullo, a reporter for ABS-CBN. The Fiipino spirit is on display here in many ways — casual bravery, a special sense of community, with a dash of crab mentality mixed in as well. All in all, it’s a fun, welcome pop culture respite from the grinding anxiety we’re all dealing with as we wait for news of loved ones. The tae begins with a report that Araullo — a young, dashing reporter for ABS-CBN– filed on the morning of the typhoon and which aired initially on ‘Umagang Kay Ganda,’ and later on ABS-CBN’s hugely popular TV Patrol. The Youtube version went viral, causing Atom to become the #1 trending topic on Twitter and then to make the trending charts not just in the Philippines — but worldwide. There are 700,000 views as I write this. His Anderson Cooper/Gary Tuckman/CNN style report truly did put him in harms way — and is by far the most illuminating of all the TV reports to come otu of Tacloban as the hurricane and storm surge arrived. Watch it to the end –it’s worth seeing. Seriously, what the hell is this obsession with Atom Araullo? Very proud of you, Philippines — you guys are the best. Spirit wise, no country is better equipped to hande something like Yolanda.